Much like advertising as a whole, the world of content marketing is constantly changing and evolving. Smarter technology, bigger ideas and more immersive experiences pave the way for a new and exciting era that has already begun. 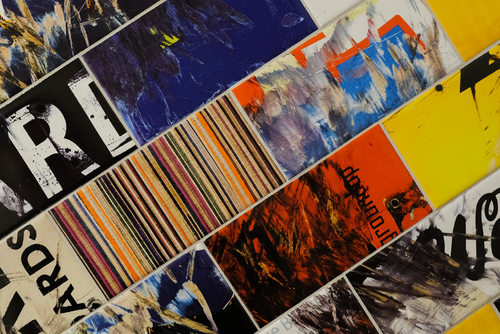 As an agency at the forefront of the industry, we have conducted our own research into what this future looks like, and how brands can get involved. 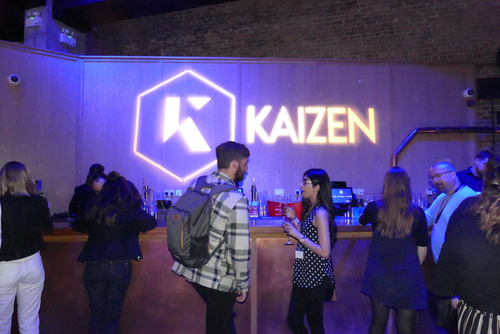 On Thursday 11th May, Kaizen took over the Steel Yard in the heart of London to share these insights and predictions with a plethora of industry professionals. The successful event showcased talks from our own CEO & Founder Pete Reis-Campbell and Campaign Manager Bobbi Brant, as well as two exceptional guest speakers – Helena Langdon, Head of Digital and Communities at Innocent Drinks, and Lauren Razavi, a freelance journalist who has written for publications including VICE, Financial Times and The Guardian. Not only did the event highlight where content marketing is heading, VR and AR experiences were also available for guests to enjoy and experience some of the future in action. 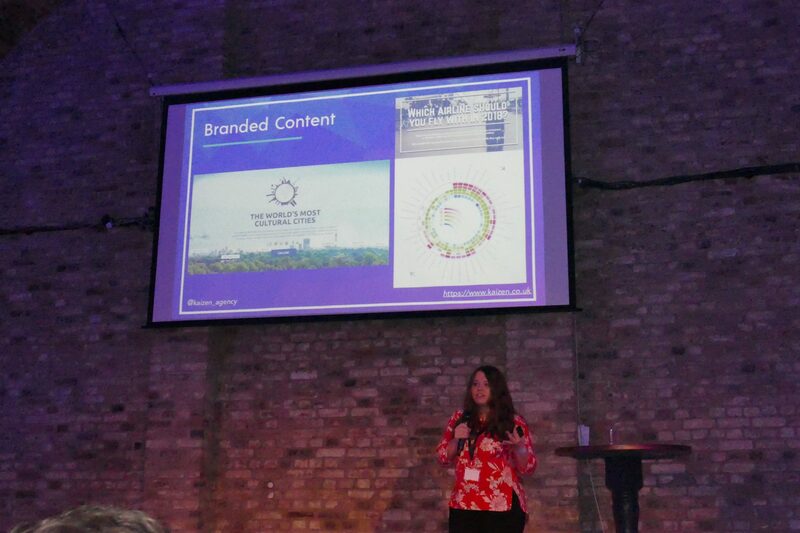 So, what did the event reveal about the future of content according to our experts? 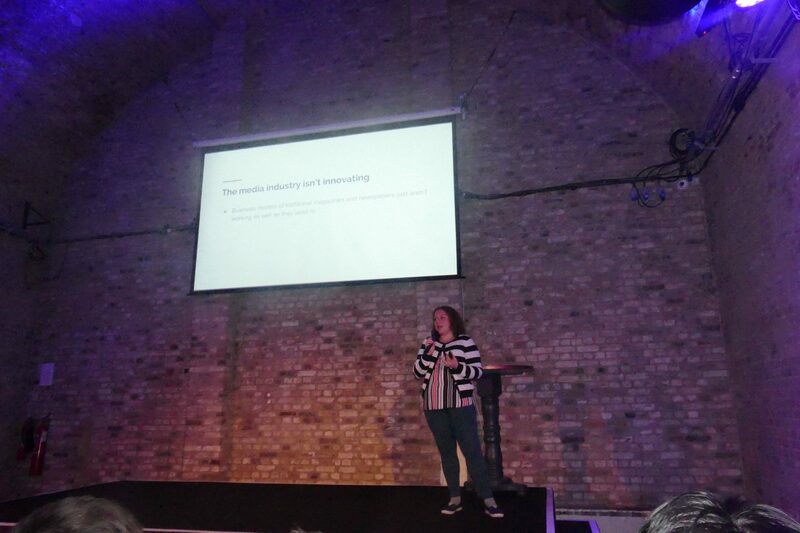 Our very own Campaign Manager, Bobbi Brant, took to the stage to reveal the findings from our whitepaper. With content covering such a wide span of the advertising world – from content marketing and SEO link-building, to paid advertising across a variety of channels and onsite content – it can be hard to speculate which trends will next take centre stage, and even harder to know how to use them effectively for your brand. Bobbi highlighted five mediums we feel will become, and are already becoming, integral to forward-thinking content strategies in coming years: live video, virtual reality, augmented reality, 360 video and native advertising. With each of these, Bobbi stressed the importance of taking the ability of these mediums and using them in a way that makes sense to your brand and adds value to the consumer. In other words, how you can prevent your content becoming too gimmicky. By knowing your audience, your brand and your budget, you can successfully achieve innovative and effective content. For example, if you are a consumer-facing retail or travel company whose products are primarily bigger, more considered purchases, then utilising AR or VR experiences can provide an improved customer experience allowing them to effectively try before they buy. One example of this can be seen in IKEA, who now allow customers to utilise AR through their app in order to see how products will look in their home before they make the purchases. Introducing this feature is projected to have contributed $4.4 billion to sales by 2020, evidencing the power of new content techniques to deliver a very real and tangible ROI. And what about the far future? Bobbi foresees this building on the success that Lego have experienced through The Lego Movie franchise, using content as the product itself. With over £300 million delivered in profit for Lego from this alone, it’s clear to see why we’re likely to find more brands utilising this approach. If you would like to read our whitepaper in full, it can be found here. 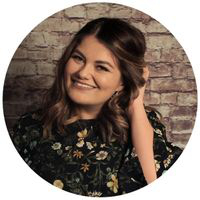 The first of our guest speakers, Helena Langdon, not only delivered an insightful talk on the innovative human approach Innocent takes to their social media strategy, she also left the whole room in stitches. 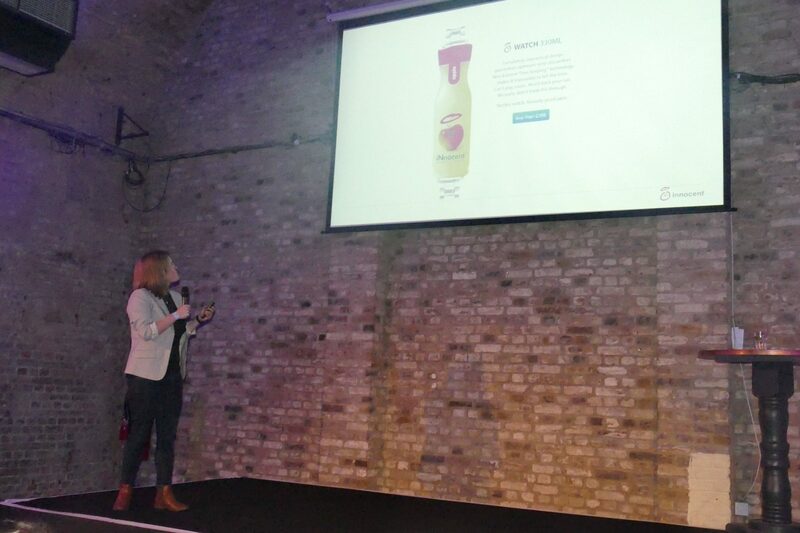 Innocent Drinks are a brand with a recognisable voice; they’re fun, friendly, a little bit cheeky and quintessentially British. However, their voice and their success didn’t come from thin air. So, how did the fastest growing soft drinks brand in Europe become more than just that to so many people? Helena accredited some of this success to the fact that Innocent is not using social media for the sake of using social media; they were a social brand before Twitter and Facebook were commonplace and have grown with the times and the consumer demand. Before social media, Innocent was one of the first brands who took a relatable approach on their packaging to have a genuine human-to-human conversation with the consumer and, with any luck, make them laugh. Leaving little notes on their packs was in many ways, according to Helena, their first social media platform. The revolutionary idea of speaking to people like they were people, rather than a target audience, struck a cord with many drinks fans who took it upon themselves to write in to (and even visit) the Innocent HQ. Helena credits these interactions with the public as the source of some of Innocent’s most successful initiatives. The public wanted a blog – Innocent started a blog, they wanted a Facebook page – Innocent started a Facebook page. By the time Twitter took the world by storm it was a natural progression for the company to branch out here too. One of the keys to Innocent’s success with online communities, according to Helena, is the fact that they don’t often use it as a promotional tool. In fact, the majority of Innocent’s tweets are funny observations from Helena’s life and interactions with their fans (all 290K of them). This personal touch has meant that Innocent stands as one of the most socially relevant brands on Twitter and has even resulted in them sparking viral trends such as the exceptionally popular, viral #DogsAtPollingStations that took the UK by storm last summer. So what gave Helena that initial courage to put out social content, which is seemingly irrelevant to the brand? Innocent have a company-wide motto that we might start adapting for ourselves – if you’re 70% sure, then do it. As the saying goes, nobody ever achieved success by playing safe, and in itself this courage is what drives forward the industry. The future of content relies on brave brands to be risk-takers and pioneer the emerging formats and ideas becoming available, sure in the knowledge that, with the right people behind the project, they will achieve success. Last but certainly not least, our final talk of the night came from freelance journalist, Lauren Razavi. 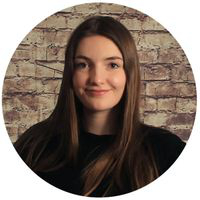 Lauren has worked with top tier publications from VICE to Wired to The Guardian alongside content work for a spectrum of brands. One of the driving forces behind the growth of branded content, as Lauren sees it, is the fact that the media industry is not innovating. As a result, brands have been forced to look elsewhere for a way to connect with their audience in the same way. With the rise of technology and the world of online media, this has become more accessible than ever for many brands. As a pioneer for creativity, Lauren stressed the importance and value that content marketing agencies can add to a company – no matter the size. Drawing on the knowledge and experience of specialist talent allows a company to access the premium content creation skill that could otherwise be beyond their reach, especially for smaller brands. Lauren also highlighted the benefits for the agencies themselves, with working for brand publications now being considered just as prestigious as working for publications such as the New York Times. For smaller companies in particular, utilising agency talent could be the key to launching yourself into the future of content. 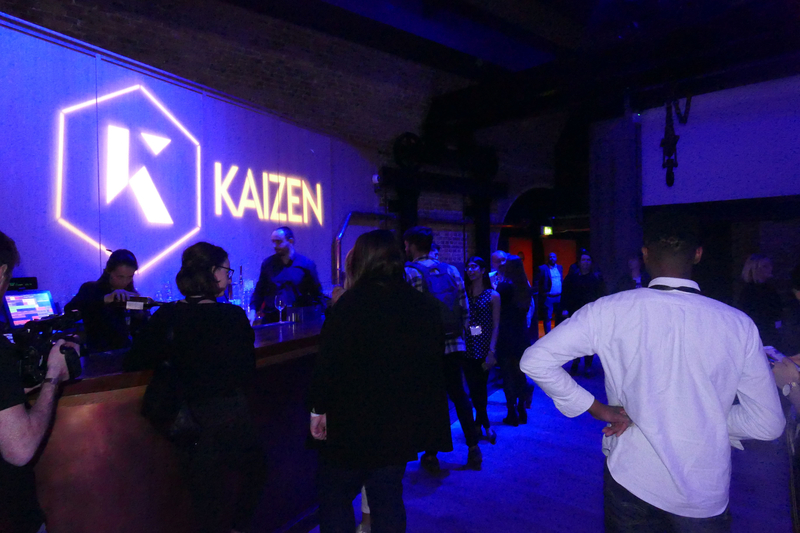 Kaizen’s Founder & CEO, Pete Reis-Campbell, also took to the stage to launch Kaizen’s new brand vision. As well as a shiny new logo and website design, Kaizen is dedicated to continuous improvement, both of ourselves and of the work we do for our clients. Pete highlighted how Kaizen have been, and will be, striving to implement innovative strategies to drive growth for our clients. 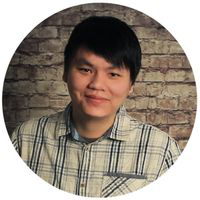 His introduction paved the way for the brilliant talks that were to follow, and many guests complimented his thorough explanation of the world of content marketing, and the interconnecting aspects. Thank you to all the guests who attended our event, ensuring it was a success. For those who couldn’t make it, a copy of our full whitepaper on The Future of Content can be downloaded here. If you’d like to be the first to hear about our next event, please subscribe to our mailing list (we don’t spam, promise) on our website.